The Concave cutting board is built with a 4-way curve that assures your meat will rest in its own flavorful juices until served. It is perfect to take from kitchen to table. The 20" x 14" inch models come with 4 anti-slip feet for safety and stability. 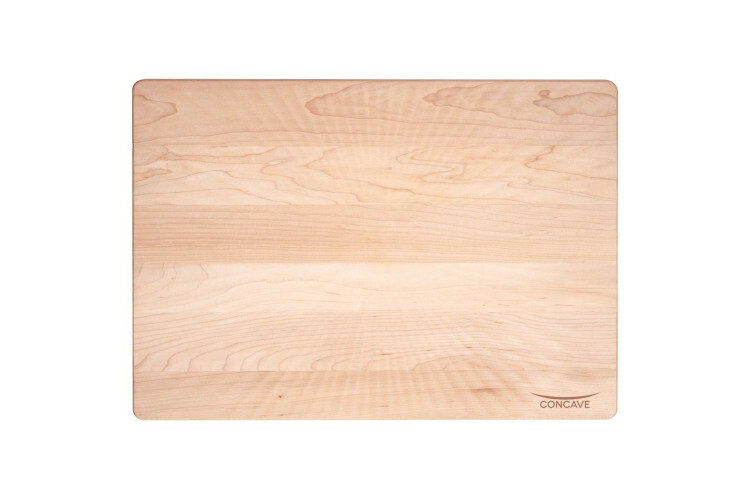 These handsome cutting boards are made of Maple with a teak oil finish.